The Napoleon Diamond Necklace consists of 28 mine cut diamonds set into a single thread, with a fringe of alternating pendeloque and briolettes diamond cuts. The five pear-shaped pendoloques are each mounted below a small brilliant cut diamond. The four ovaline pendeloques are mounted above designs which incorporate 23 brilliant cut diamonds each. Each briolette mounting is set with 12 rose cut diamonds. 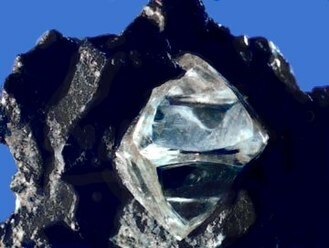 While the gems of the Napoleon Diamond Necklace have never been professionally graded by a lapidary (as they have never been removed from their mountings), infrared spectroscopic analysis of the diamonds has shown that they are primarily Type Ia. 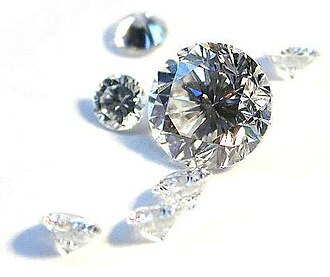 However, 13 of the 52 largest diamonds in the necklace are of the rare Type IIa variety. 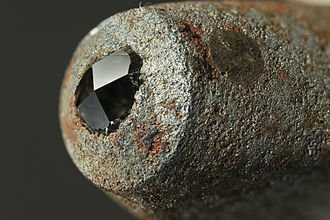 A number of the Type Ia diamonds show indications of sulfide crystal imperfections. 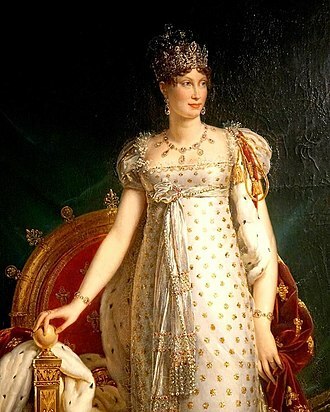 In 1810, Napoleon I of France divorced the Empress Joséphine, as she proved to be incapable of producing an heir. He re-married two months later to Archduchess Marie Louise of Austria. Within a year, Marie Louise bore a son. To celebrate, in June 1811 Napoleon I commissioned the Napoleon Diamond Necklace from the Parisian jewellery firm Nitot et Fils, at a cost of 376,274 French francs. 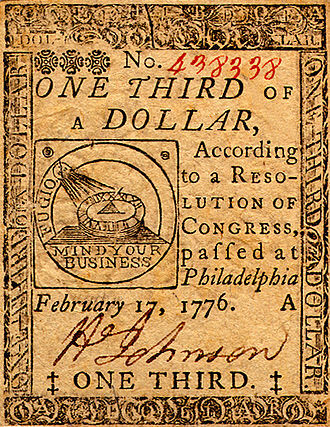 This sum was the equivalent of the Empress's entire annual household budget. 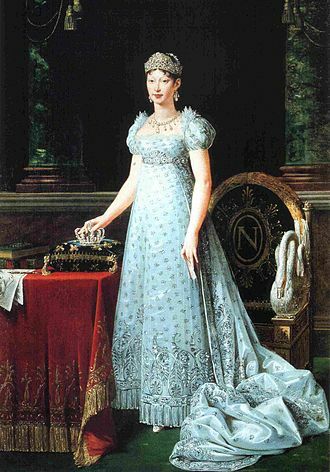 There are several contemporary portraits of Marie Louise wearing the Napoleon Diamond Necklace, including a number by the artists François Gérard and Giovan Battista Borghesi. Several years later, in 1815, Napoleon was exiled to Saint Helena. Marie Louise returned to Austria with the necklace and owned it until her death. Upon the death of Marie Louise in 1847, the necklace passed to Archduchess Sophie of Austria, the wife of her brother Archduke Franz Karl of Austria. Two diamonds were removed from the necklace to shorten it, at the request of Princess Sophie. These diamonds were fitted to a pair of earrings, the location of which is now unknown. 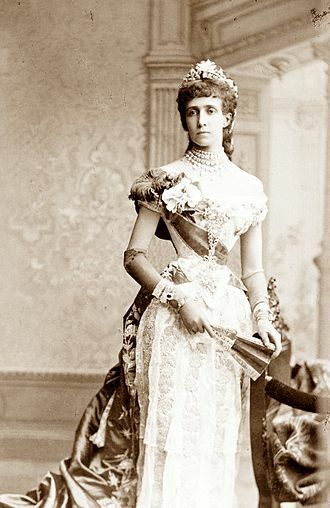 Following the death of Sophie in 1872, the Napoleon Diamond Necklace was jointly inherited by her three surviving sons, Archdukes Karl Ludwig, Ludwig Viktor, and Franz Joseph of Austria. Karl Ludwig later acquired his brothers' stakes in the necklace, and upon his death in 1914 passed it to his third wife, Maria Theresa of Portugal. 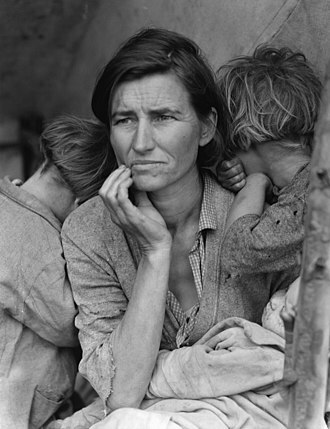 At the start of the Great Depression in 1929, Maria Theresa engaged two people presenting themselves as "Colonel Townsend" and "Princess Baronti" to sell the necklace for US$450,000. Realising that the current economic conditions would make it almost impossible to reach the asking price, the pair began offers at $100,000, signing on Archduke Leopold of Habsburg, the destitute grandnephew of Maria Theresa, to vouch for the necklace's authenticity. Deals were negotiated with the jewelers Harry Winston and Harry Berenson, but eventually the pair sold the necklace to David Michel of New York City for $60,000, of which the pair claimed $53,730 as expenses. When informed of the sale, Maria Theresa took the matter to court, eventually resulting in the recovery of the necklace, the jailing of Archduke Leopold, and the flight of Townsend and Baronti from the authorities. After resolving the incident, Maria Theresa held the necklace until her death in 1944. Four years later, the Habsburg family sold it to the French industrialist Paul-Louis Weiller. In 1960, Weiller sold the Napoleon Diamond Necklace to Harry Winston, who believed that the historical value of the piece would make it more valuable than if the stones were removed and resold individually, as was common practice at the time. As such, he kept it intact, reselling it the same year to Marjorie Merriweather Post. 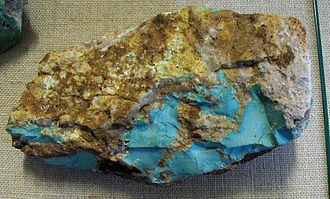 Post donated the necklace to the Smithsonian Institution in 1962, and it has since remained on display at the National Museum of Natural History in Washington, D.C., United States. ^ Gaillou, Eloïse; Post, Jeffrey; "An Examination of the Napoleon Diamond Necklace", Gems and Gemology (Winter 2007), p. 355. ^ a b c "Recent Research on the Napoléon Diamond Necklace", National Museum of Natural History. Retrieved October 19, 2008. ^ McLynn, Frank (1998). Napoleon, p. 465. ISBN 0-7126-6247-2. ^ a b c Gaillou, Eloïse; Post, Jeffrey; "An Examination of the Napoleon Diamond Necklace", Gems and Gemology (Winter 2007), p. 352. ^ Lineberry, Cate; "Diamonds Unearthed", Smithsonian Magazine, January 1, 2007. Retrieved October 19, 2008. The National Museum of Natural History is a natural history museum administered by the Smithsonian Institution, located on the National Mall in Washington, D. C. Opened in 1910, the museum on the National Mall was one of the first Smithsonian buildings constructed exclusively to hold the national collections and research facilities. The main building has an area of 1,500,000 square feet with 325,000 square feet of exhibition and public space. 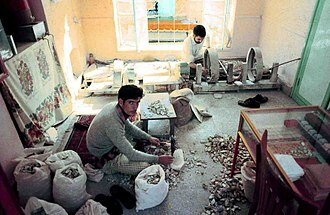 The museums collections contain over 126 million specimens of plants, fossils, rocks, human remains, the United States National Museum was founded in 1846 as part of the Smithsonian Institution. The museum was housed in the Smithsonian Institution Building, which is better known today as the Smithsonian Castle. A formal exhibit hall opened in 1858, the growing collection led to the construction of a new building, the National Museum Building. 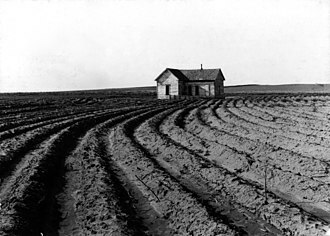 Covering a then-enormous 2.25 acres, it was built in just 15 months at a cost of $310,000, congress authorized construction of a new building on June 28,1902. The regents began considering sites for the new building in March, the D. C. architectural firm of Hornblower & Marshall was chosen to design the structure. Testing of the soil for the foundations was set for July 1903, the Natural History Building opened its doors to the public on March 17,1910, in order to provide the Smithsonian Institution with more space for collections and research. 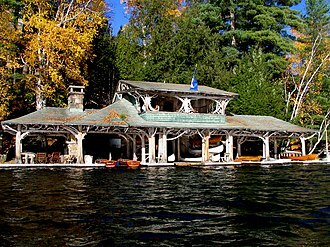 The building was not fully completed until June 1911, the structure cost $3.5 million dollars. 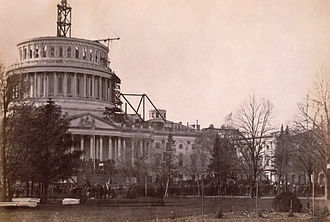 The Neoclassical style building was the first structure constructed on the side of the National Mall as part of the 1901 McMillan Commission plan. 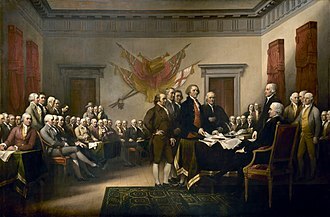 In addition to the Smithsonians natural history collection, it housed the American history, art. Between 1981 and 2003, the National Museum of Natural History had 11 permanent, there were six directors alone between 1990 and 2002. Turnover was high as the directors were disenchanted by low levels of funding. Robert W. Fri was named the director in 1996. One of the largest donations in Smithsonian history was made during Fris tenure, kenneth E.
Infrared spectroscopy involves the interaction of infrared radiation with matter. It covers a range of techniques, mostly based on absorption spectroscopy, as with all spectroscopic techniques, it can be used to identify and study chemicals. Sample may be solid, liquid, or gas, the method or technique of infrared spectroscopy is conducted with an instrument called an infrared spectrometer to produce an infrared spectrum. An IR spectrum is essentially a graph of infrared light absorbance on the vertical axis vs. frequency or wavelength on the horizontal axis, typical units of frequency used in IR spectra are reciprocal centimeters, with the symbol cm−1. Units of IR wavelength are commonly given in micrometers, symbol μm, a common laboratory instrument that uses this technique is a Fourier transform infrared spectrometer. Two-dimensional IR is possible as discussed below, the infrared portion of the electromagnetic spectrum is usually divided into three regions, the near-, mid- and far- infrared, named for their relation to the visible spectrum. The higher-energy near-IR, approximately 14000–4000 cm−1 can excite overtone or harmonic vibrations, the mid-infrared, approximately 4000–400 cm−1 may be used to study the fundamental vibrations and associated rotational-vibrational structure. The far-infrared, approximately 400–10 cm−1, lying adjacent to the region, has low energy. 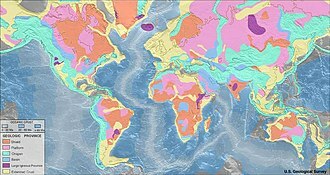 The names and classifications of these subregions are conventions, and are loosely based on the relative molecular or electromagnetic properties. Infrared spectroscopy exploits the fact that molecules absorb frequencies that are characteristic of their structure and these absorptions occur at resonant frequencies, i. e. the frequency of the absorbed radiation matches the vibrational frequency. The energies are affected by the shape of the potential energy surfaces, the masses of the atoms. In particular, in the Born–Oppenheimer and harmonic approximations, i. e, the resonant frequencies are related to the strength of the bond and the mass of the atoms at either end of it. He was born in Vienna shortly after his sister Archduchess Maria Anna had died at four years of age, followed by a stillborn brother. 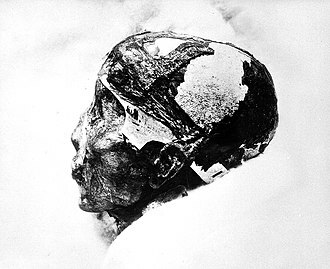 His elder siblings included Emperor Franz Joseph, Emperor Maximilian I of Mexico, during the Revolutions of 1848 and the Vienna Uprising, pampered Luziwuzi with his royal family had to flee the Austrian capital, at first to Innsbruck, to Olomouc. Ludwig Viktor pursued the usual career and was appointed General of the Infantry. He rejected his brother Maximilians ambitions in the Second Mexican Empire and especially plans to him to Princess Imperial Isabel. Despite his mothers attempts to arrange a marriage for him with Duchess Sophie Charlotte in Bavaria, youngest sister of Empress Elisabeth, he remained a bachelor all his life. As a result of his very public homosexuality and transvestitism, culminating in a brawl at the Central Bathhouse Vienna, the same emperor joked that he should be given a ballerina as adjutant to keep him out of trouble. Ludwig Viktor retired to Klessheim Palace near Salzburg where he became known as a philanthropist and he died in 1919, at the age of 76, and is buried at the Siezenheim cemetery. His nickname of LAiglon was awarded posthumously and was popularized by the Edmond Rostand play, LAiglon. 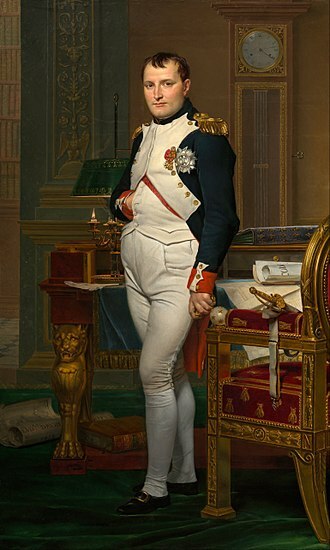 When Napoleon I abdicated on 4 April 1814, he named his son as Emperor, the coalition partners that had defeated him refused to acknowledge his son as successor, thus Napoleon I was forced to abdicate unconditionally a number of days later. Although Napoleon II never actually ruled France, he was briefly the titular Emperor of the French in 1815 after the fall of his father. When his cousin Louis-Napoléon Bonaparte became the emperor by founding the Second French Empire in 1852, he called himself Napoleon III to acknowledge Napoleon II. Napoleon was born on 20 March 1811 at the Tuileries Palace, son of Napoleon I, on the same day he was ondoyed by Joseph Fesch with his full name of Napoleon François Charles Joseph. The baptism, inspired by the ceremony of Louis, Grand Dauphin of France, was held on 9 June 1811 in the Notre Dame de Paris cathedral. 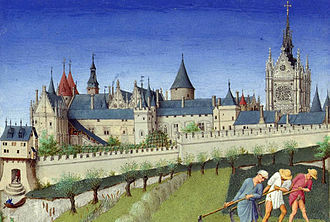 He was put in the care of Louise Charlotte Françoise Le Tellier de Montesquiou, a descendant of François-Michel le Tellier, Marquis de Louvois, who was named Governess of the Children of France. Affectionate and intelligent, the governess assembled a collection of books intended to give the infant a strong grounding in religion, philosophy. 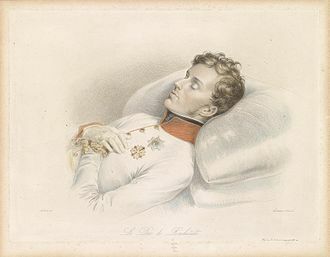 As the eldest legitimate son of Napoleon I, he was already constitutionally the Prince Imperial and heir apparent, three years later, the First French Empire, to which he was the heir, collapsed. Napoleon saw his wife and their son for the last time on 24 January 1814. On 4 April 1814, Napoleon abdicated in favour of his son after the Six Days Campaign. The three-year-old became Emperor of the French under the name of Napoleon II. However, on 6 April 1814, Napoleon I fully abdicated and renounced not only his own rights to the French throne, on 29 March 1814, accompanied by her suite, Marie Louise left the Tuileries Palace with her son. 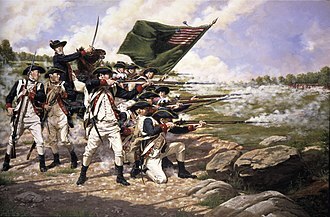 Their first stop was the Château de Rambouillet, fearing the advancing enemy troops, on 23 April, escorted by an Austrian regiment and son left Rambouillet and France forever, for their exile in Austria. In 1815, after his defeat at Waterloo, Napoleon I abdicated for the time in favour of his four-year-old son. It is part of the British Overseas Territory of Saint Helena and Tristan da Cunha. Saint Helena measures about 16 by 8 kilometres and has a population of 4,534 and it was named after Saint Helena of Constantinople. The island, one of the most remote islands in the world, was uninhabited when discovered by the Portuguese in 1502 and it was an important stopover for ships sailing to Europe from Asia and South Africa for centuries. Napoleon was imprisoned there in exile by the British, as were Dinuzulu kaCetshwayo, between 1791 and 1833, Saint Helena became the site of a series of experiments in conservation and attempts to boost rainfall artificially. 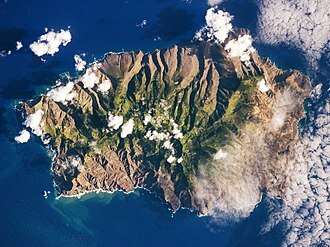 This environmental intervention was closely linked to the conceptualisation of the processes of environmental change, Saint Helena is Britains second-oldest remaining overseas territory after Bermuda. The Portuguese found the island uninhabited, with an abundance of trees and they imported livestock, fruit trees and vegetables, and built a chapel and one or two houses. Englishman Sir Francis Drake probably located the island on the leg of his circumnavigation of the world. 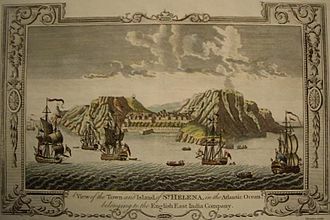 In developing their Far East trade, the Dutch began to frequent the island, the Dutch Republic formally made claim to Saint Helena in 1633, although there is no evidence that they ever occupied, colonized, or fortified it. By 1651, the Dutch had mainly abandoned the island in favour of their colony at the Cape of Good Hope. 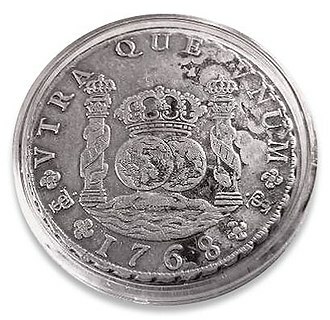 In 1657, Oliver Cromwell granted the English East India Company a charter to govern Saint Helena and, the following year, the first governor Captain John Dutton arrived in 1659, making Saint Helena one of Britains oldest colonies outside North America and the Caribbean. 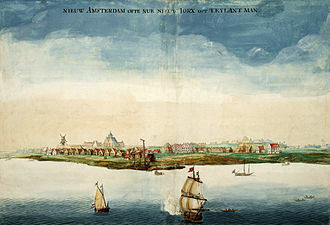 A fort and houses were built, after the Restoration of the English monarchy in 1660, the East India Company received a royal charter giving it the sole right to fortify and colonise the island. 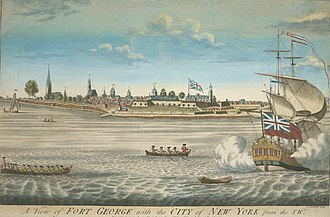 The fort was renamed James Fort and the town Jamestown, in honour of the Duke of York, between January and May 1673, the Dutch East India Company forcibly took the island, before English reinforcements restored English East India Company control. Infanta Maria Theresa of Portugal was a Princess of the House of Braganza. 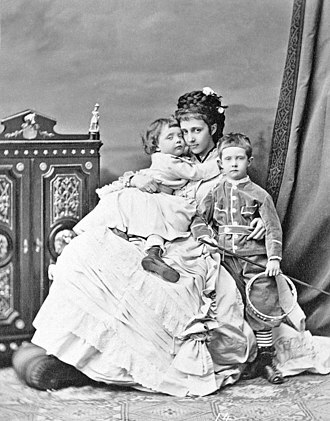 She became by marriage an Archduchess of Austria and sister-in-law of Emperors Franz Joseph I of Austria and Maximilian I of Mexico, Maria Teresa was born in Kleinheubach, Kingdom of Bavaria the second daughter of Miguel I of Portugal and Princess Adelaide of Löwenstein-Wertheim-Rosenberg. Her father became king of Portugal in 1828 after deposing his niece Queen Maria II and he reigned until 1834 when Maria II of Portugal was restored and Miguel was forced into exile. In the end the rumors turned out to be false, during her widowhood she spent the winter months living in Vienna and the summer months at Reichstadt castle in Bohemia. She offered encouragement and support to her stepson Franz Ferdinand in his determination to marry Countess Sophie Chotek against his familys will. She traveled to a convent in Prague herself to fetch Sophie and took her into her own house, after the union was finally permitted, Maria Theresa made all the arrangements for the wedding, insisting that it take place in her own private chapel. Marie Louise was an Austrian archduchess who reigned as Duchess of Parma from 1814 until her death. She was Napoleons second wife and, as such, Empress of the French from 1810 to 1814, a series of military defeats at the hands of Napoleon Bonaparte had inflicted a heavy human toll on Austria and led Francis to dissolve the Holy Roman Empire. The end of the War of the Fifth Coalition resulted in the marriage of Napoleon and Marie Louise in 1810, Marie Louise dutifully agreed to the marriage despite being raised to despise France. She was an obedient wife and was adored by Napoleon, who had been eager to marry a member of one of Europes leading royal houses to cement his relatively young Empire. 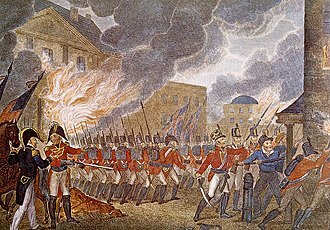 With Napoleon, she bore a son, styled the King of Rome at birth, Duke of Reichstadt, Napoleons fortunes changed dramatically in 1812 after his failed invasion of Russia. The European powers, including Austria, resumed hostilities towards France in the War of the Sixth Coalition, the 1814 Treaty of Fontainebleau handed over the Duchies of Parma and Guastalla to Empress Marie Louise. She ruled the duchies until her death, Marie Louise married morganatically twice after Napoleons death in 1821. Her second husband was Count Adam Albert von Neipperg, an equerry she met in 1814 and she and Neipperg had three children. After Neippergs death, she married Count Charles-René de Bombelles, her chamberlain, in 1834, Marie Louise died in Parma in 1847. Archduchess Marie Louise of Austria was born at the Hofburg Palace in Vienna on 12 December 1791 to Archduke Francis of Austria and his wife, Maria Theresa of Naples. Her father became Holy Roman Emperor a year as Francis II, Marie Louise was a great granddaughter of Empress Maria Theresa through both her parents, as they were first cousins. She was a granddaughter of Queen Maria Carolina of Naples. Marie Louises formative years were during a period of conflict between France and her family and she was brought up to detest France and French ideas. Marie Louise was influenced by her grandmother Maria Carolina, who despised the French Revolution which ultimately caused the death of her sister, Maria Carolinas Kingdom of Naples had come into direct conflict with French forces led by Napoleon Bonaparte. Infanta Maria Theresa of Portugal in her wedding gown, 1873. Archduchess Maria Theresa of Austria, 1897. Engraved portrait in Le strade di Parma", by Tiziano Marcheselli.